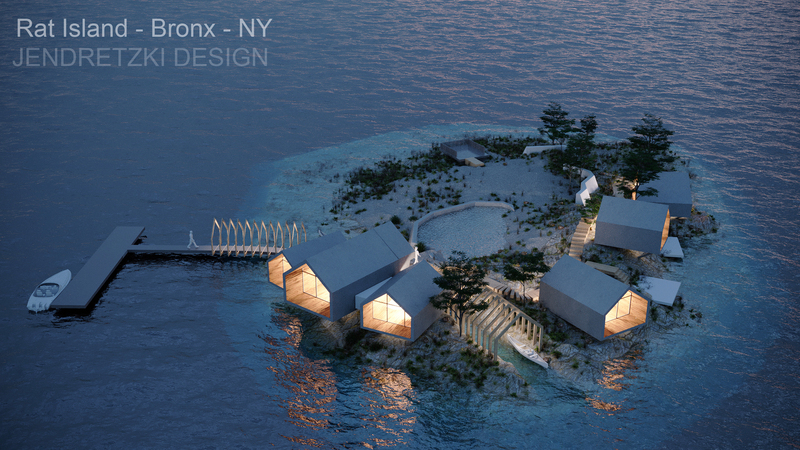 Eight years ago, then 71-year-old Alex Schibli bought an entire NYC island for $160,000. 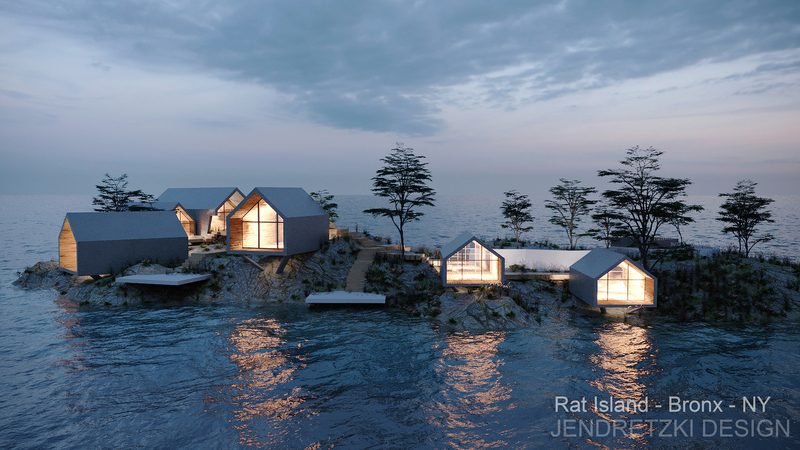 If you’ve never heard of Rat Island, it’s a 2.5-acre land mass off the coast of City Island in the Bronx, where Schibli and his wife live. 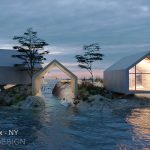 Originally, he said he had no plans to alter it, but a few months ago, he received a phone call from architect Pablo Jendretzki. 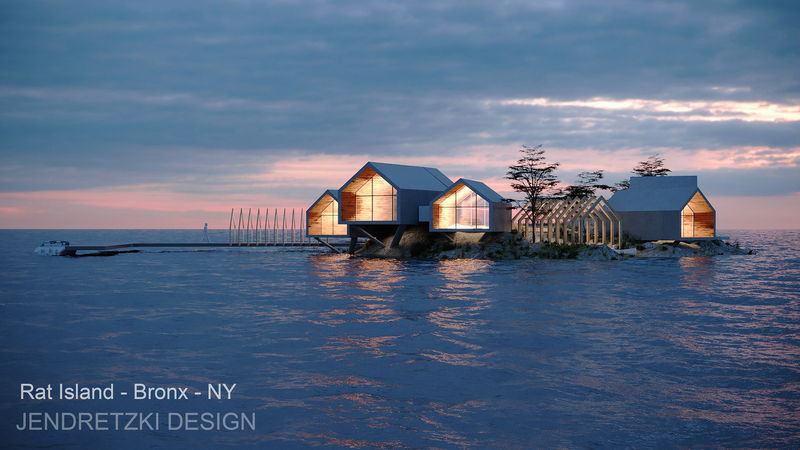 “I read an article on him and the island a few months ago and called him to offer to design a project. 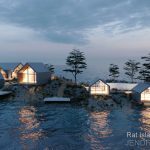 We met the next morning,” Jendretzki told 6sqft. 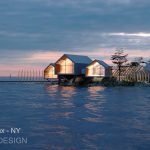 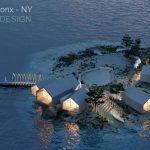 Schibli had expressed a desire to build a self-sustaining hotel that takes advantage of the island’s natural surroundings. 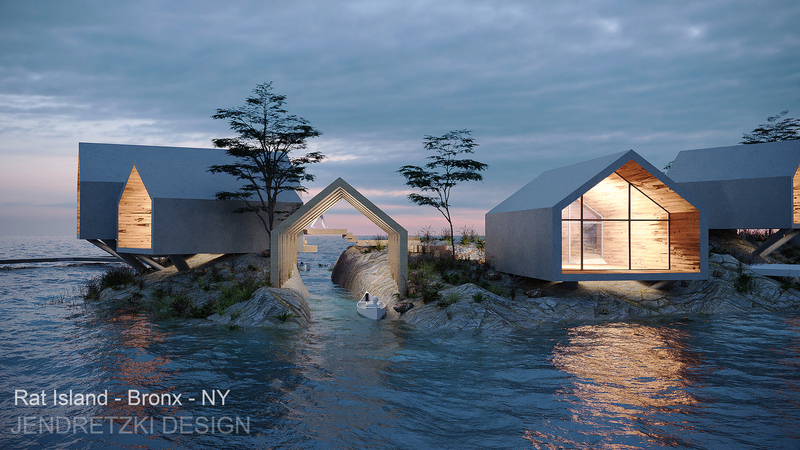 In response, Jendretzki designed this series of off-grid eco pods that would function as a sort of glamping experience.